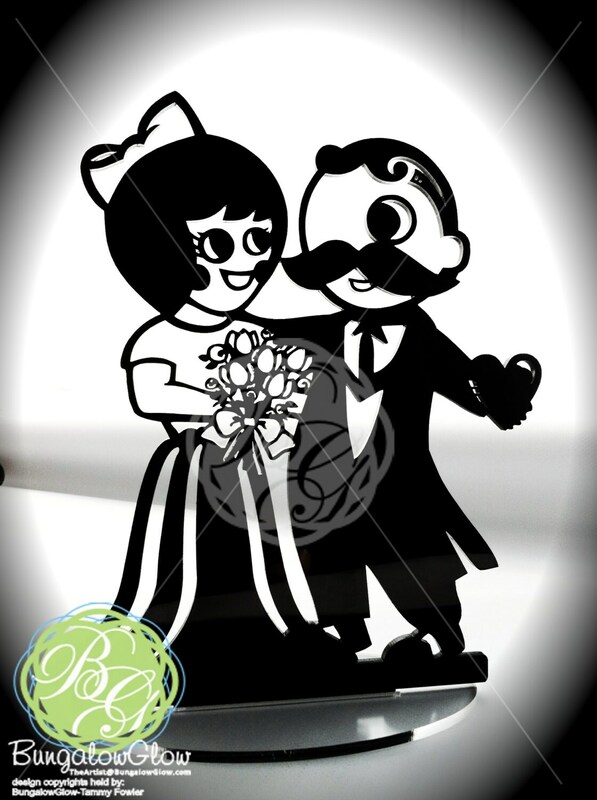 Natty Boh won the heart of the darling UTZ girl. Perfect for a Beer and Pretzel wedding. Includes an oval stand (1.875" x 3.875" wide) which makes it a perfect display piece! I can create this piece in a different color, black does look best (DARK colors are recommended). Send me a message with questions! reclaimed material from a sign-manufacturing facility (my day job!) GO GREEN! This is FAN ART and is in no way affiliated with the respective brands. Fast shipping, excellent quality! My fiancé is very excited to have this on our cake!